Fatherlessness has reached epidemic levels. Forty percent of children in the U.S. will go to bed tonight in a home without a father. Studies show that people without fathers are at much higher risk for low educational performance, drug abuse, crime and poverty. Fatherlessness is rampant in our churches as well. When planting his church, Mark Strong realized that fifteen of twenty core leaders, whether they were in their twenties or sixties, white or black, had grown up without an active father figure in their lives. And he determined to make a difference in the lives of the next generation. 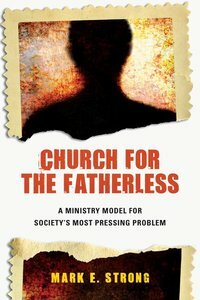 The church is uniquely positioned to minister to the fatherless, both within its own community and in society at large. Strong shows how we can make our churches places of refuge for our nation's fatherless. Churches can reveal a true picture of God as loving Father through mentoring both children and dads, meeting the practical needs of children, and much more. By embedding key values into your congregational culture, your church can become a church for the fatherless. Be part of the solution. Are you ready to make a difference? About "Church For the Fatherless"
1. Father Where Are You?